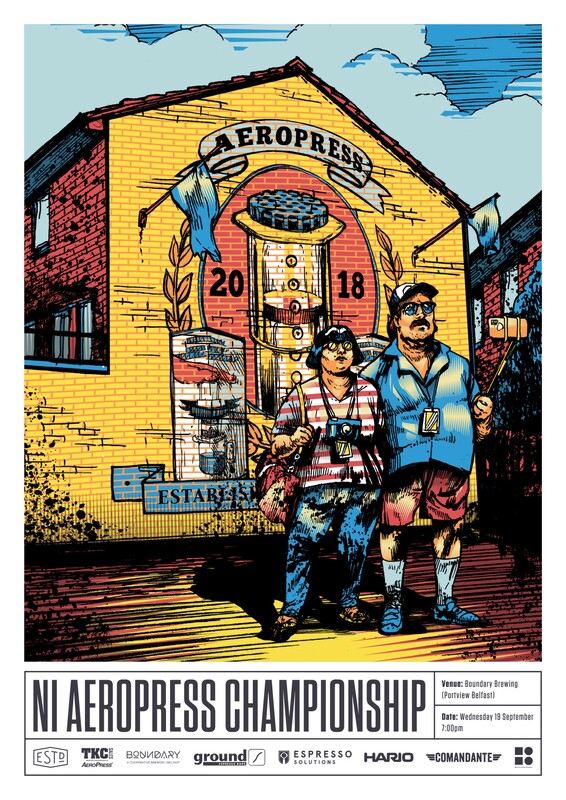 It’s the return of NI AeroPress Championship! It will be held in the Boundary Brewing (Portview, Belfast), on Wednesday 19th September. Following on from the last two years, we cannot wait to crown a champion who will go on to represent Northern Ireland at the World AeroPress Championships which are being held in Sydney, Australia in November! Tickets for competitors (£30) and spectators (£6), on sale now. Huge thank you to sponsors Established Coffee, Bailies Coffee, Ground Espresso Bars, Boundary Brewing, TKC Sales, Espresso Solutions, Hario UK and Commandante.